In Anchor, overlays—such as file collision, file locking, and file syncing indicators—are not displaying, and might cause Windows Explorer to crash. Windows provides limited slots for icon overlays. End users might have previously installed separate applications on their machines (such as OneDrive, Dropbox, and others) that also employ overlays as visual identifiers. These third-party overlays might prevent Anchor overlays from loading properly. You can download the ShellExView utility to disable overlays of applications that might be interfering with Anchor overlays. Navigate to the NirSoft web site and download the ShellExView Utility. Click to launch the shexview application file. The ShellExView window displays. Click the Type column to sort by extension type, which will help you quickly find the Icon Overlay extension type. Keep in mind that only a limited number of overlays (ranked alphabetically) will display. Disable unwanted icon overlays by clicking the red Disable Selected Items button. Close the ShellExView window when you are finished. This issue can affect any program that attempts to load overlays on a Windows machine, and is not just limited to Anchor. 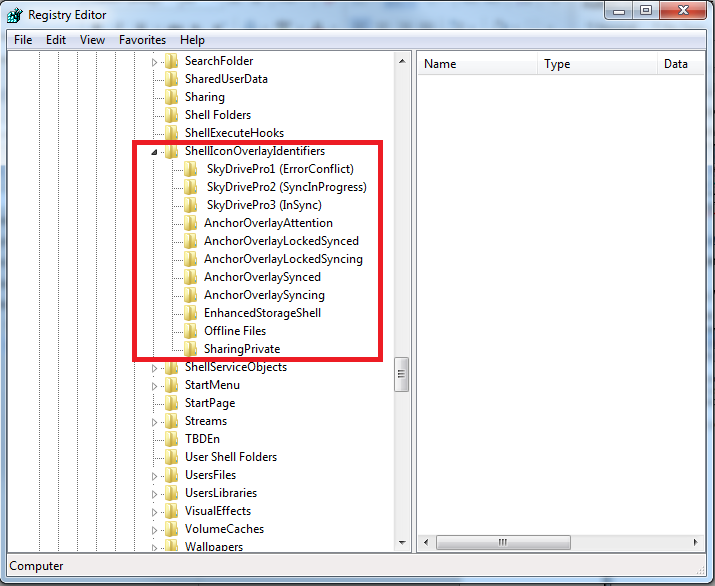 Most file sync tools, including Anchor, attempt to load overlays, and therefore must compete for the top entry positions through clever naming techniques (prepending entries with spaces, adding underscores, and so forth). 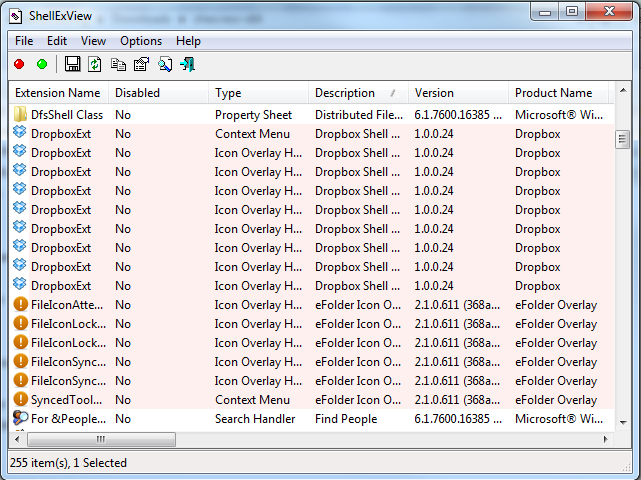 Use the instructions above to disable these unwanted overlays through the ShellExView utility. Note: We do not recommend or support registry changes. Instead, please use the ShellExView utility to disable unwanted overlays.